Without a doubt, the Yellowstone National Park is a whimsical yet rugged excursion into nature. During every season, Yellowstone offers much to the tourist. Visit Old Faithful, the renowned geyser, which is always on time. Explore the pristine countryside and experience fly fishing at its best in the many rivers. Yellowstone was the first national park in United States History and was established in 1872 by an act signed by Ulysses S. Grant. Yellowstone covers 3,468 miles and holds over half of the world’s geothermal features. After exploring, you will desire to escape in comfortable accommodations, take off your hiking gear and enjoy the sites from a homey and special lodge. Here are three accommodations in Wyoming that cater to the tourist and neighbor the Yellowstone National Park region. These locations can host any budget. At Luton’s Teton Cabins, you are close to both Yellowstone and the Grand Teton areas. 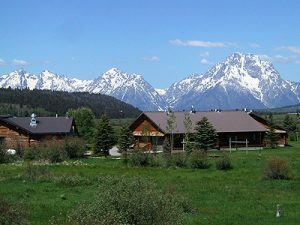 The cabins are located at the north part of Jackson Hole and feature personally handcrafted cabins. There are one and two bedroom cabins available. All cabins have a fully equipped kitchen, full baths and front porches. Each cabin is equipped with high speed internet service and all linens and daily housekeeping is provided. At the Chamberlin Inn, you can truly relax after a day of exploring. The Chamberlin includes a small boutique hotel, a courthouse residence, a cottage and garden studio apartments. There are 24 units altogether and all are contained within a wrought iron fence in a garden setting. All rooms feature fresh flowers, organic silk linens and Belgium chocolates. The units have television and internet access. This small lovely hotel would be the perfect setting for a reunion or a honeymoon. The Rustic Inn and Creekside Resort is a fairly new addition to the Jackson Hole area, and is affiliated with Best Western, but do not let the moniker fool you. 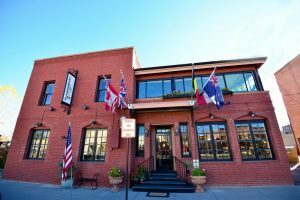 The Rustic Inn is located just one mile from the Jackson Hole town square and is a gateway to both the Grand Teton and Yellowstone Parks. There are 154 mini-suite units, with the king units sporting a fireplace in the rooms. There is a free daily breakfast buffet, a lounge, a deli and a gift shop. The Gun Barrel Steakhouse is located adjacent to the hotel. There is an indoor and outdoor heated pool, and there are also hot tubs and saunas. Most innkeepers around Wyoming are well versed in the regions that surround them. Staff will be able to arrange tour guides, shuttles and any special outdoor sporting adventures you may desire. For example, if you want to fly fish, they will give you the best areas and information about it. When making a reservation, it may be helpful to indicate to the management what your interests are so they can set them up before you arrive. 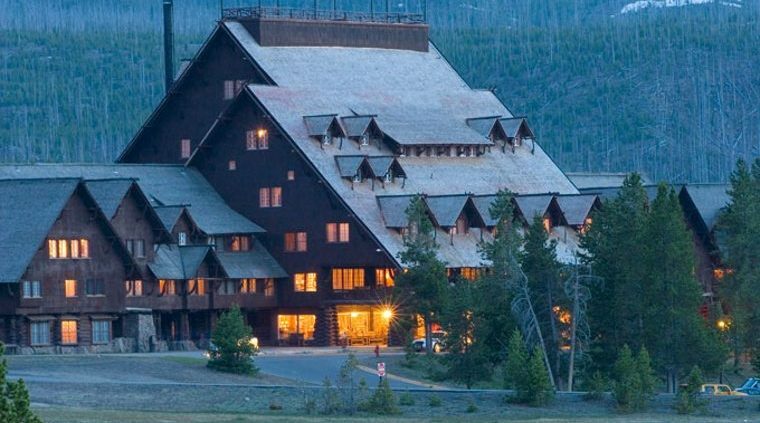 Most employees of these hotels and cabins are natives of the area. Their advice and input can turn a great trip into a fabulous adventure.